I often imagine that a dog's perception of “the walk” is much like our enjoyment of reading a book of infinite nuance and layers such as Dostoevsky's The Brothers Karamazov. Taking your dog for a walk provides a virtual potpourri of sensory stimulation for our best friends of the canine persuasion. On "the walk," dogs enter a deep and complex world of olfactory messages and cues which we mere humans are only marginally able to experience on the most superficial of levels. Taking your dog for a walk has it's practical side too. Walks provide an opportunity to reinforce training you are working on. For example, you can practice basic obedience commands such as "sit," "stay," "heel," and so on. On the walk, you expose your dog to the wider world of people and other dogs. This is crucial for socializing puppies or rescue animals. We have all heard that exercise is good for us, and intuitively we can guess that it would be good for our dogs too. Well, the resounding short answer is—IT IS! Exercise allows your dog to expend energy, which is key to weight management. Exercise maintains both muscle mass and joint range of motion. This is particularly important for older animals. Our pets often mirror us, and like many Americans, too many of our pets have what in polite company would be called “ a weight problem”. Exercise is a big part of keeping your dog at a healthy weight. I think of exercise for dogs as divided into three categories. The first is “yard exercise,” ie, your dog being outside in a safe confined area with or without fellow dogs. Most dogs enjoy this and when accompanied by other dogs can get a significant amount of exercise. However, some solo dogs, as well as those inclined to laziness, can pretty much just hang out and not do much of anything. Some fearful or noise phobic dogs may dread being in a yard, as it causes them considerable anxiety. The bottom line is to observe your dog and tailor your exercise regimen to your pet. The second type of exercise is “the walk”. 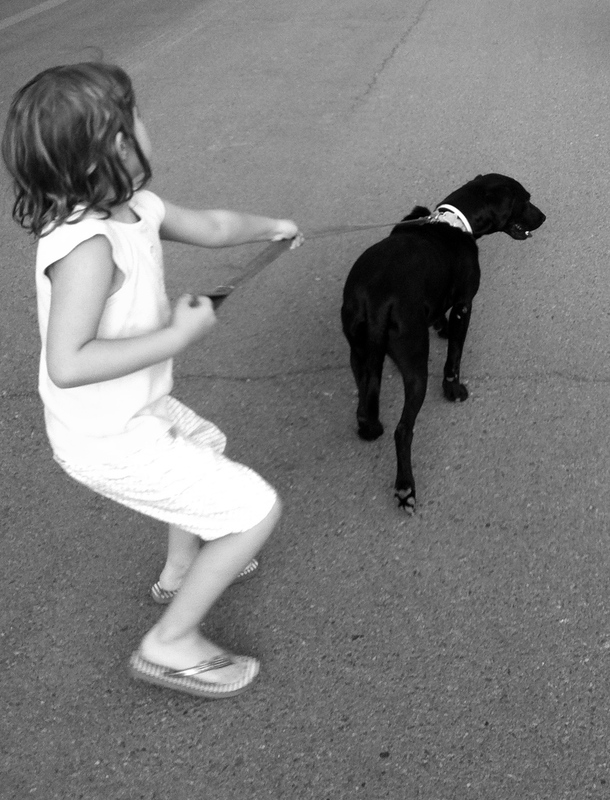 The walk can be regimented and focus on training of any sort--obedience or agility for example. Or, it can be a simple, mellow meander of enlightenment. Either is rewarding for both you and your dog. However, keep in mind that you will have fewer issues and less frustration if you get basic obedience commands instilled in your dog. Short on time or just don't feel like getting out the door? Most dogs can be readily trained to walk/run on a treadmill. This is an excellent choice if you are unable to take your dog outside and want to feel a little less anxious and guilty about all that money you spent on a treadmill which is collecting dust (visit our Facebook page to see a video of Charlie on the treadmill ). Last, but not least, is allowing your dog to run free. Nothing is more exhilarating than to watch your dog run like the wind and exhibit utter joy and dog bliss. Of course, this comes with the inherent risks of losing your dog, having your dog get hit by a car or get into a dog fight. So please, only let your dog run free where she will be safe, where off-leash is permitted, and if your dog is trained to "come" on command. In short, exercise makes for a happy, more easily trained, better socialized dog. It gives your dog time to spend with YOU, and yes, they do so very much crave that! Exercise gives your dog both mental and physical stimulation. All dog breeds benefit from exercise, from toys to the big guys, old as well as young dogs. And, exercise is good for us dog owners as well. We are blessed to live in a state that offers year-round opportunity to enjoy the outdoors. So, get out with your dog, and get going!